Welcome to our slightly belated weekly update. On Wednesday we released a game patch with some new things, as well as improvements for old items. Nifty scopes for some of our old reliable rifles, enhanced functionality for the two person tree stand, new iron sights for the .243, .270 and .300 rifles, increased magnification for the spotting scope and more. You can find the full list here. We launched a pretty cool event which everyone seems to be really enjoying so far. A Classic Showdown. The whole community is divided into four teams and fighting against each other to have their chosen classic rifle named the best of the best. As you can tell, I am in team K98k (which is so going to win ;)). What about you? Have you picked your team yet? This week we also dropped a bunch of lovely eagle feathers and ammonite fossils on Val-des-Bois, one of the reserves that hasn’t had any collectibles until now. Later we will be adding some cool stuff for you to pick up on the other two empty reserves – Rougarou Bayou and Whiterime Ridge. Stay tuned! 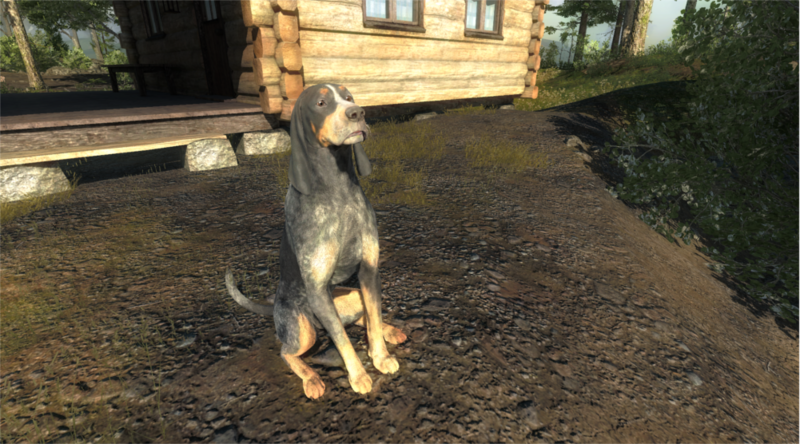 We are starting the testing phase for scent hounds, together with selected people who applied for our closed beta session. If you haven’t received an email from us this time, please don’t be discouraged. Hopefully next time you’ll be more lucky! 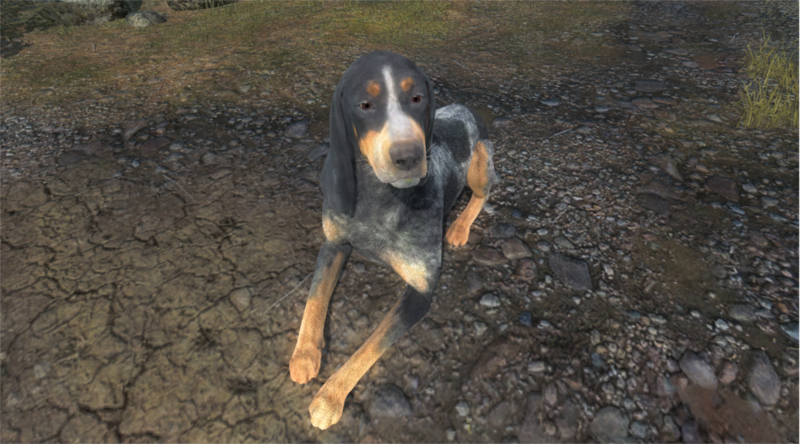 There have been a lot of questions about the upcoming scent hounds, everything shall be revealed in due course. We are also planning our traditional pre-release livestream where you can watch them with your own eyes. With the release of scent hounds we’ll be tweaking the behaviour of our retrievers, so they will become a little bit smarter (but not as smart as their sniffing brothers and sisters). All the dog equipment and accessories, since it is manufactured from a top quality super stretch material, will of course fit both types of dogs. 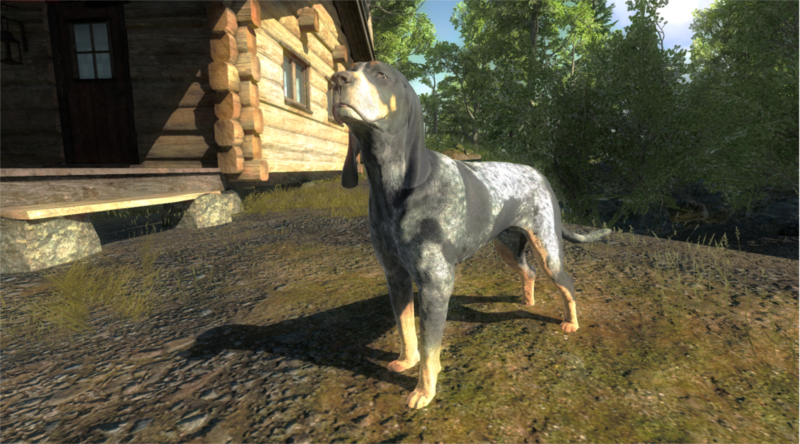 We also wanted to share with you a couple of sneak peek screenshots of the scent hounds. They are work in progress, but still – what a beauty! Over Tuesday and Wednesday night we had some problems which were caused by service outages experienced by our server provider Google. Please read the statement by our producer Philipp here. Finally, the next two animals in our free species rotation are Arctic Fox and Roe Deer. 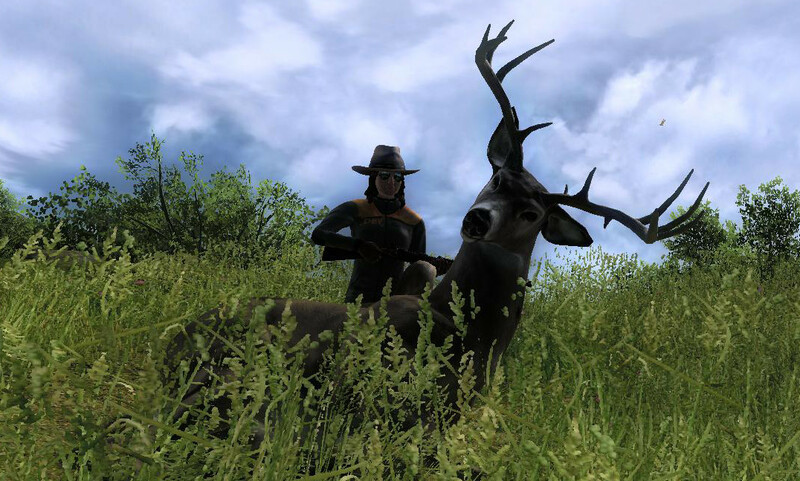 You can hunt them for free until Thursday 26 May, when they will be exchanged again with two other species. 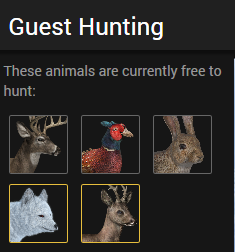 Guest players are now able to see animals they are allowed to hunt in the top right corner of the website once logged in. That’s it from us for today. This entry was posted in Uncategorized by Alena Rybik. Bookmark the permalink.